PayPal is one of the most used online payment systems at the moment. It was established in 1998 and eBay acquired it as its subsidiary in 2002. In recent years it has become the best among the famous e-wallets in the world. It operates in more than 202 markets including South Africa and has over 200 million active customers worldwide. Customers are able to send, receive and keep money online in 25 different currencies around the globe. In addition, PayPal allows its users to pay merchants that accept this payment method for goods and services. It has gained popularity by making secure and convenient online payments for many South African online casino players. Signing up for an account is absolutely free and it can be done within a short period of time. You are able to link PayPal to your bank account. South African online casinos that accept PayPal allow you to make deposits and withdraw your winnings. However, not all online casinos allow you to make a withdrawal, so you must do a background check on the online casino. Using it to fund your casino account is so easy. If you don’t have an account, you need to first sign up. This is a fast process that takes only a few minutes to fill in required details and the account will be successfully set up. Fund your PayPal using bank transfers, debit card or credit card. Using a credit card or debit card to transfer money is instant while using bank account transfers may take few days. 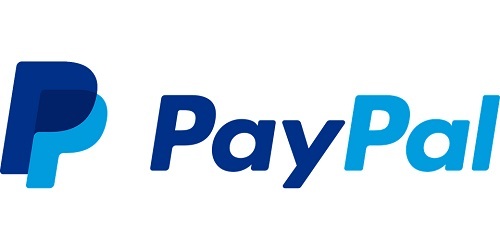 Once your PayPal is funded, log on to your favourite online casino and go to casino cashier page, choose PayPal as your payment or deposit option. Enter all the required details including the amount (please verify the amount before proceeding with the transaction) and proceed with your deposit. It only takes a minute or few minutes for your casino account to be funded. If your casino allows you to make withdrawals, funds must first be cleared by the casino. For a withdrawal to be in your PayPal account it might take a day or two. But this differs from casino to casino. PayPal is a perfect payment method for online casino players. It is instant and reliable; casino accounts can be funded within minutes. You don’t give out your personal details to the casino, therefore, you maintain anonymity. It’s safe and secure.